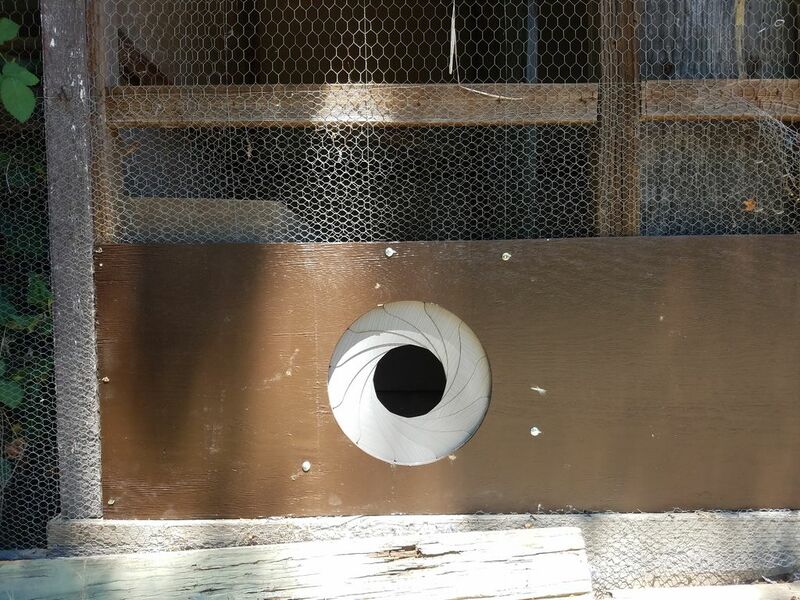 Arduino Blog » An Arduino-powered iris door… for chickens! There’s something beautifully sci-fi about the way an iris opens, whether as part of a camera or perhaps even as an entryway. Knowing that his father wanted an automatic chicken coop door, Ziven Posner decided to build one in the form of an iris, adding style to what would normally be the mundane task of letting the birds in/out. The resulting iris mechanism is powered by a DC motor, and actuated by a toggle switch. Starting and stopping is controlled with an Arduino Uno, which prevents overtravel on the door via a set of limit switches. If you’d like more details on the project, be sure to check out his Instructables post! dude that is awesome I have chickens I need that.